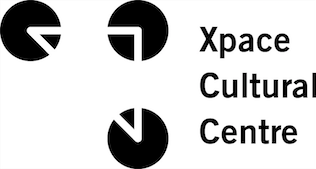 xpace :: Whippersnapper: CALL FOR SUBMISSIONS! Whippersnapper Gallery is currently seeking submissions for the 2012 summer programming season. Titled â€œNot just the pictureâ€, its intention is to explore the ways in which burgeoning practices revolving around new-media, internet and digital technologies influence and impact themselves upon public space, our relationships and our social structures. As a generation that has matured throughout young adulthood and increasingly adolescence and childhood, immersed in social spheres mediated by internet platforms like facebook, twitter, second life etc. we are increasingly reliant on these platforms. How does this participation in proxy worlds shape our relationships to one another? How have our relationships to our civil and cultural institutions been effected by a virtualization of experience. How is our understanding of public space (online or real world) debased, strengthened or otherwise altered through the exponential growth and integration of technology in our lives? These are some of the questions that could be addressed in projects for this submission call. View full proposal form.